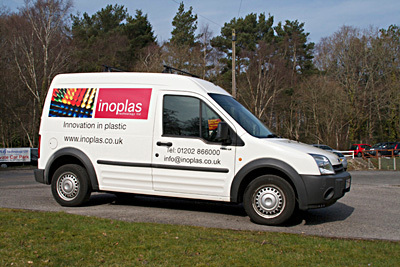 Not that we have anything against white van man, but we decided that our trusty steed deserved a bit of a face lift. We are proud to be a manufacturing business in Dorset and whilst our products are going all over the world, we do like to be seen out and about delivering to those of our customers who are in range. Now after spending a bit of time with Steve Maton at the excellent Signtech Graphics our van is visible from space.